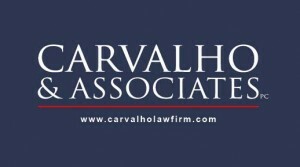 Carvalho & Associates, P.C. was founded in 2004 by Attorney Michael P. Carvalho. Mr. Carvalho has over 20 years legal experience and is licensed to practice law in Georgia, Massachusetts, Michigan and the District of Columbia. We have satellite offices located in Boston, Detroit and Washington, D.C. 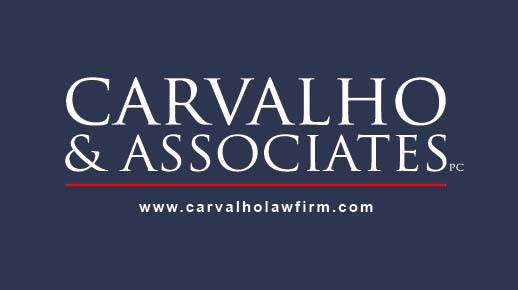 The attorneys at Carvalho & Associates routinely litigate cases in Land Use, Environmental Law, Energy Law, and Real Estate Matters, among other areas. We specialize in Environmental Law and Regulatory matters to include CERCLA/SARA “Superfund” (defense, cost allocation, and cost recovery actions), RCRA, TSCA, CAA, and the Clean Water Act. Mr. Carvalho regularly advises business clients on environmental and related transactional matters involving risk allocation and transfer, as well as regulatory, permitting and licensing. Mr. Carvalho grew up in Massachusetts and received his B.A. from the University of Massachusetts, Amherst with a concentration in Environmental Science and Policy. From 1986 through 1994, he worked as an environmentant consultant for a national environmental consulting firm, and later served as President and CEO of Site Assessment Specialists, Inc., a company he founded, providing assessment, and CERCLA/SARA litigation support services for cost allocation and cost recovery matters, environmental risk management and remediation services. His environmental consulting clients included Waste Management, Inc., and General Motors Corporation, in addition to various regional and national lenders. Mr. Carvalho attended law school (nights) and received his Juris Doctor from Michigan State University Law School in 1994. Later that year, he sold his company to a publicly held firm and entered the full-time practice of law. He has since served as in-house environmental counsel to First Chicago-NBD Bank (now J.P. Morgan Chase) and General Motors Corporation prior to relocating to Washington D.C. While in Washington, D.C., Mr. Carvalho was a partner with the firm of O’Connor & Hannan, LLP where he represented clients in energy and environmental transactional matters throughout the United States, Puerto Rico, Canada, Caribbean, Mexico, France, and Brazil. In 2001, Mr. Carvalho relocated to Georgia to assist a Fortune 100 client in the connection with a national expansion, acquisition and development of retail “Big-Box” stores on environmentally impaired properties. Mr. Carvalho’s current and past clients include XL Environmental Insurance Co., Calpine Energy Corporation, Home Depot U.S.A., Inc., General Motors Corporation, U.S. Restaurant Properties, Inc., and Entertainment Publishing Co., among others. Mr. Carvalho has represented businesses and individuals in connection with CERCLA/SARA actions (defense, cost recovery, and cost allocation), Clean Water Act, Clean Air Act, Toxic Substances Control Act, Resource Conservation and Recovery Act, and related matters. Mr. Carvalho is member of the State Bars of Massachusetts, Michigan, Georgia, and the District of Columbia. He is admitted to practice before the Michigan Court of Appeals, Michigan Supreme Court, Georgia Court of Appeals, and Georgia Supreme Court. He is also admitted to the U.S. District Courts in Massachusetts, Georgia and Michigan, the U.S Bankruptcy Court for the Northern District of Georgia, and the United States Supreme Court. Mr. Carvalho is also a member of the Essex County Bar Association, Georgia Trial Lawyers Association, Cobb County Trial Lawyers, Environmental Section of the State Bar of Georgia, where he has presented several papers on state and federal environmental regulation, litigation and related matters. He regularly represents clients in mediation and arbitration matters. Mr. Carvalho is an active member of the National Brownfields Association. Mr. Carvalho’s teaching and lecture credits include serving as an Instructor at Wayne State University’s Graduate School of Chemical Engineering, Georgia State University Law School, Mercer Law School and Emory University School of Public Health and Law School on matters of environmental law and science. He routinely provides national training in Phase I & II Environmental Site Assessments, All Appropriate Inquiry under federal Brownfields Law, CERCLA/SARA, CWA, RCRA, CAA, TSCA and related regulatory matters. He also serves on the Board of Editors for ICSC’s “Retail Law Strategist”. Mr. Carvalho’s was recently appointed to the National Board of Directors of the EnvironMentors Project of the National Council for Science and Environment (NCSE). He has actively been involved with Environmentors for over 15 years.